How to Upgrade to 40/100G for Virtualized Data Center and Campus Network? 40/100G Gigabit Ethernet has come into market as aggregation of 10G Ethernet link. With its high data rates transmission speed, virtualization becomes an inevitable trend, like the virtualized data center and virtualized campus. 40/100G is rapidly gaining traction as a key foundation for building the next generation of virtualized data center and campus environments. Now advantages brought by 40/100G as well as its promises as an interconnect option among data centers and campuses become more and more obvious. To make full use of these virtualized environments, the original network infrastructure should be upgraded to meet 40/100G network capacity. Data center virtualization is end-to-end virtualization, including server virtualization, storage virtualization, and network virtualization, and have many diverse benefits. Virtual machines and networks can be quickly and nimbly deployed. Their energy efficiency and capacity can dynamically scale to meet the demands of variable workloads without wasting resources. Disaster recovery is faster, and both initial and ongoing costs can be lower than those of traditional non-virtualized approaches. To upgrade to the virtualized data center, there are a number of design and operational challenges. One of the most conspicuous challenges is to provide enough bandwidth for the applications of today and the foreseeable future. With converged network technologies, 10GbE, which is becoming a good choice for server access networks, is also good for a storage access network as well. As 10GbE at the access layer, 40/100G is recommended for aggregation and core layers of networks in data centers. Then 40/100G removes the constraints that have previously prevented virtualized data centers from fulfilling their maximum potential. Video gains more applications in campus networks. But video applications are more than just video conferencing or video streaming. It also includes desktop high definition video, video phone, enterprise TV, IP video surveillance and other video generation and sharing. Another emerging trend in the campus network is “bring your own device”. These applications create pressure on a campus’s distribution and core networks. It’s a must to upgrade to high bandwidth network. To achieve virtualized data center and campus network, high performance and high-quality fiber solutions are needed. Migrating from 10G (that uses two fibers in either a SC duplex or a LC duplex connector) to 40G and 100G will require a lot more fibers and a different type of connector. The way that optical fiber cabling is deployed for 10G can facilitate an easier migration path to 40G and 100G. One of upgrading methods from 10G to 40G is to connect four 10Gb/s SFP+ transceiver to a 40Gb/s QSFP+. This requires a QSFP fanout cable MPO/MTP (female) to 8LC. 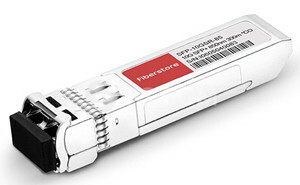 Fiberstore provides several kinds of QSFP transceivers with MTP/MPO connectors, which can connect the 40GBASE module to four 10GBASE optical interfaces, such as QSFP-40G-SR4, QSFP-40G-CSR4, QSFP-40G-PLRL4, QSFP-40G-LX4. For example, the following picture shows the migration from 10G to 40G data center. The 40GBASE-PLRL4 module to four 10GBASE-LR optical interfaces is connected via our female MTP to 8 single-mode fan-out fiber cables with 4 duplex connectors. In this link solution, an MTP to 8LC conversion module and harness cable are used. There are also some options to achieve the migration from 10G to100G transmission. 100G Ethernet has 10 lanes of 10Gb/s to deliver 100Gb/s connectivity. This configuration uses two 12-fiber MPO trunk cables for the connectivity (as shown in the following picture). Another method is to use a 24-fiber MPO cable to connect two 12-fiber MPO fanouts. 40/100G network will be soon adopted into the virtualized data centers and campus networks widely because of the high-bandwidth connectivity. For upgrading from 10G to 40/100G network, Fiberstore offers relative 40G transceiver modules, 100G transceiver modules, MTP/MPO cables, conversion modules and the most cost-effective and high-performance connecting solutions. This entry was posted in Fiber Optic Transceivers and tagged 100G transceiver modules, 40G transceiver modules, MTP/MPO cables, virtualized campus networks, virtualized data center on February 10, 2016 by laura.